Toolbox: Negative thinking, especially during difficult rides, will certainly hurt your cycling confidence and prevent you from riding at your best and achieving your cycling goals. Your goal is to retrain your negativity to become a positive thinking cyclist with high confidence that propels you to your very best rides. No two ways about it, negative thinking hurts your cycling confidence. If you’re ascending a long and steep climb and negative thoughts, such as “I’m gonna bonk” or “I can’t hang with this group,” pop into your head, the chances are you’re not going to keep up your pace. What’s worse is that if you continue to think negatively during tough rides, it can become a bad habit. Bad confidence habits are just like bad technical habits; the more you practice them, the more ingrained they become and the better you get at being negative. And that negativity is what will come out in races. Fortunately, like a bad technical habit, negative thinking can be retrained with awareness, control, and repetition. The goal is to engage in enough confidence-building practice that a new positive-thinking habit becomes embedded in your mind and replaces the negative thinking. There are several strategies you can use to help yourself get that much-needed positive practice. • I love to train and race. • I am committed to giving my best effort in everything I do. • I think and talk positively on and off my bike. • I give 100% focus and intensity when I train and race. • If I focus on riding my best rather than on winning or losing, I will succeed. A comment I often get from cyclists when they start using the litany is that they don’t believe what they’re saying. This is just like a practice drill in which you’re trying to make a technical correction. In a sense, your muscles don’t “believe” the new skill either. With sufficient repetition, though, you learn the new skill and your muscles come to “believe” it. The same holds true for the positive self-statements. By repeating the litany enough times, you will start believing it. Just like the improved technique, when you get into a race, the new skill of positive thinking will emerge and it will help you ride your best. The important thing about the Cyclist’s Litany is not only to say it, but to say it like you mean it. For example, I could say “I love to train and race,” but I may not sound very convincing. If I say it like I mean it, with energy and enthusiasm, then I’m more likely to start believing what I’m saying. Saying the litany with conviction also generates positive emotions and physical feelings that will reinforce its positive message. A great thing about the Cyclist’s Litany is that you can personalize it to your needs. Create your own litany of positive self-statements that means something to you. Then, say the litany out loud every morning and every night. Also, say the litany before you train and race. When I work with cyclists, I like to have them record the number of positive and negative things they say during a race. In most cases, the negatives far outnumber the positives. In an ideal world, I would love to eliminate all negatives and have cyclists only express positives. 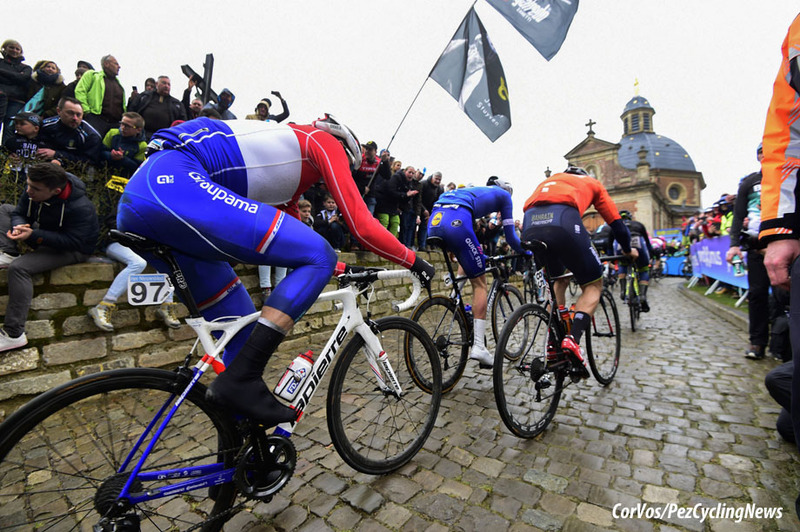 But this is the real world and any cyclist who cares about their sport is going to feel and express doubt, frustration, and despair occasionally. In dealing with this reality, you should learn to balance the scales. The immediate goal is to increase the positives. This means rewarding yourself when you ride well. If you beat yourself up over, for example, a tactical error that causes you to get dropped by the lead group, why shouldn’t you pat yourself on the back when you do something well, such as bridging the gap between the peloton and the lead group. Pump your fist, slap your leg, say, “yes,” when you ride well. It will psych you up and make you feel positive and excited. Once you’ve balanced the scales by increasing your positives, your next goal is to tip the scales in the positive direction by reducing the negatives. Ask why you’re so hard on yourself when you ride poorly. The best cyclists in the world don’t always ride their best. Why shouldn’t it be okay for you to have down periods in your cycling as well? This step of tipping the scales toward positives is so important because of some recent research that found that negative experiences, such as negative self-talk, body language, and emotions, carry more weight than positive experiences. In fact, it takes 12 positive experiences to equal one negative experience. What this means is that for every negative expression you make, whether saying something negative or screaming in frustration, you must express yourself positively 12 times to counteract that one negative expression. As Earl Nightingale once said, “We become what we think about most of the time.” If you’re always thinking negatively, then you will likely fail. Another useful technique to reduce your negative thinking and develop your positive thinking is called thought-stopping. This strategy involves replacing your negative self-talk with positive self-talk. List the negative statements you commonly say to yourself when you’re training and racing. Next, indicate in what situations you say the negative things, for example, in an important race or at the end of a grueling stage. This will help you become aware of the situations in which you’re most likely to be negative. Then, list positive statements you can replace them with. For example, after a bad day, you might say “I had a horrible race.” Instead, replace that negative statement with something more positive such as “I’ll work hard and ride better tomorrow.” The thought-stopping sequence in training or competition goes as follows. When you start to think or say something negative; say “stop” or “positive,” then replace it with a positive statement. Even though I very much emphasize being positive at all times, the fact is, you can’t always be. You don’t always ride as well as you want and there is going to be some negative thinking. This awareness was brought home to me by a group of highly-ranked junior cyclists I worked with not long ago. During a training camp, I was constantly emphasizing being positive and not being negative. One night at dinner, several of the cyclists came up to me and said that sometimes things do just stink and you can’t be positive. I realized that some negative thinking is normal when you don’t ride well and some negative thinking is healthy. It means you care about your cycling and you want to do better. Negative thinking can be motivating as well because it’s no fun to ride poorly and get disappointing results. I got to thinking about how cyclists could use negative thinking in a positive way. I came up with an important distinction that will determine whether negative thinking helps or hurts how you perform. There are two types of negative thinking: give-up negative thinking and fire-up negative thinking. Give-up negative thinking involves feelings of loss and despair and helplessness, for example, “It’s over. I can’t win this.” You dwell on past mistakes and failures. It lowers your motivation and confidence, and it takes your focus away from riding your best. Your intensity also drops because basically you’re surrendering and accepting defeat. There is never a place in cycling for give-up negative thinking. In contrast, fire-up negative thinking involves feelings of anger and energy, of being psyched up, for example, “I’m having a really bad day. I hate riding this way” (said with anger and intensity). You look to riding better in the future. Fire-up negative thinking increases your motivation to fight and turn things around. Your physical intensity goes up and you’re bursting with energy. Your focus is on being aggressive and separating yourself from the field. Fire-up negative thinking can be a positive way to turn your riding around. If you’re going to be negative, make sure you use fire-up negative thinking. But don’t use it too much. Negative thinking and negative emotions require a lot of energy and that energy should be put riding. Also, it doesn’t feel very good to be angry all of the time. The real test of confidence is how you respond when things are not going your way. I call this the Confidence Challenge. It’s easy to stay confident when you’re riding well, when the conditions are ideal, and when you’re competing against a field that you’re better than. But an inevitable part of cycling is that you’ll have some down periods. 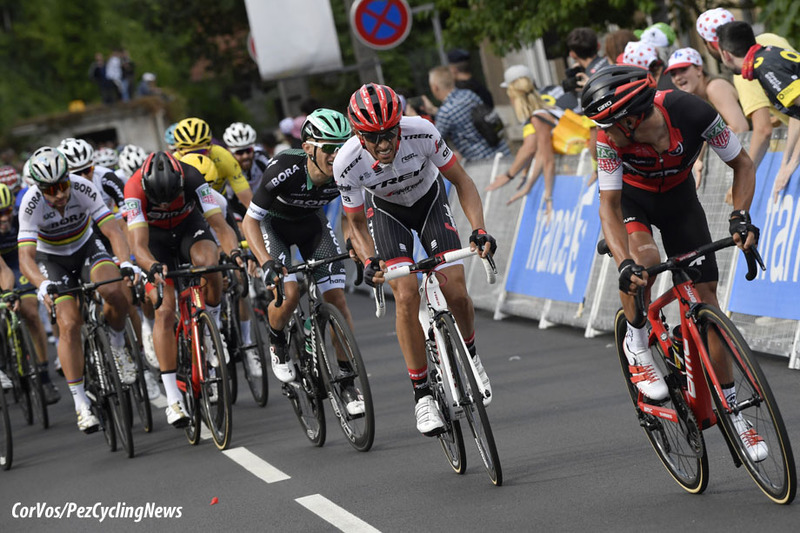 What separates the best Tour riders, for example, from those far back in the peloton is that the top guys are able to maintain their confidence when they’re going through a bad patch of riding. By staying confident, they continue to work hard rather than give up because they know that, in time, their riding will come around. Most cyclists when they are riding poorly lose their confidence and get caught in the vicious cycle of low confidence and performance. Once they slip into that downward spiral, they rarely can get out of it. 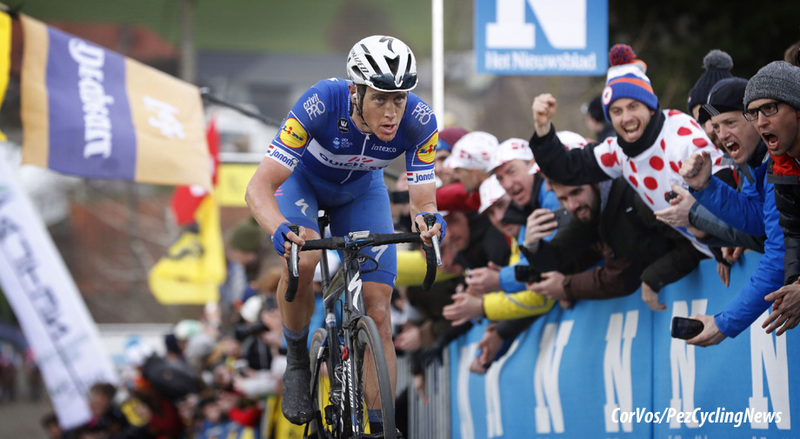 In contrast, the best cyclists in the world maintain their confidence and seek out ways to return to their previous level. All cyclists will go through periods where they don’t ride well. The challenge is not getting caught in the vicious cycle and being able to get out of the down periods quickly. There are several key aspects of mastering the Confidence Challenge. First, you need to develop the attitude that demanding situations are challenges to be sought out rather than threats to be avoided, for example, having a long training ride on a cold and rainy day. When you’re faced with a Confidence Challenge you must see it as an opportunity to become a better cyclist. You also need to believe that experiencing challenges is a necessary part of becoming the best cyclist you can be. You have to realize that, at first, these challenges are going to be uncomfortable because they are difficult and unfamiliar, but, in time, you will gain familiarity and comfort with them and they will make you a better rider. • Seek out every possible challenge in training and competition. • Be well-prepared to meet the challenges. • Stay positive and motivated in the face of the difficulties. • Focus on what you need to do to overcome the challenges. • Accept that you’ll make mistakes and may not fully succeed when faced with a challenge. • See challenges as experiences you can learn from to improve in the future. • Never, ever give up! Dr. Jim Taylor is an internationally recognized authority on the psychology of endurance sports. He has been the team sport psych consultant for two professional cycling teams and professional, world-class, junior-elite, and age-group cyclists and triathletes for more than 27 years. A former internationally ranked alpine ski racer, Jim is a 2nd degree black belt, a marathon runner, an Ironman triathlete, and an avid cyclist. Jim is the author or lead editor of 14 books, including Prime Sport: Triumph of the Athlete’s Mind, The Triathlete’s Guide to Mental Training, and Applying Sport Psychology: Four Perspectives, has published over 700 articles in popular and professional publications, and has given more than 800 workshops and presentations throughout the North America and Europe. To learn more, visit his website.